Measure practical skills and abilities in a live cyber range environment. 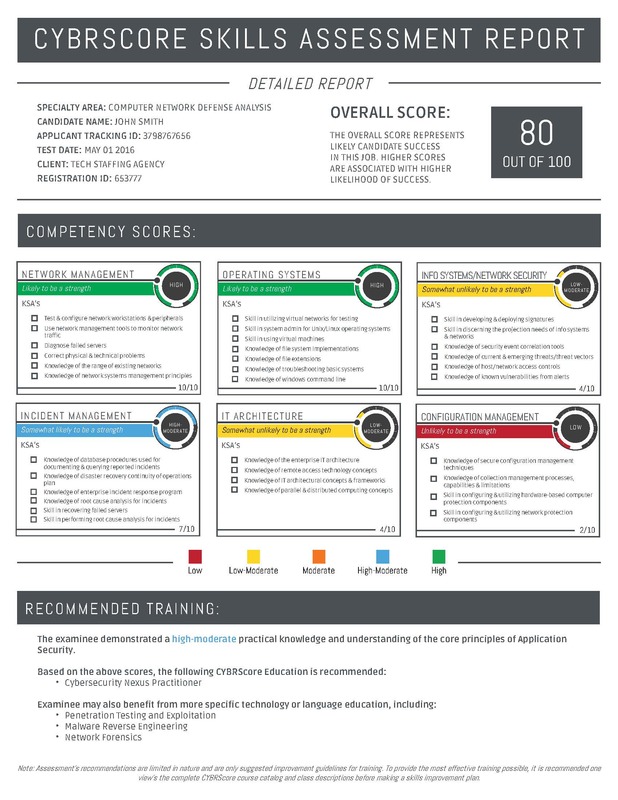 The CYBRScore Skills Assessment is a virtual computer-skills assessment designed to accurately evaluate an organization’s cyber security workforce. 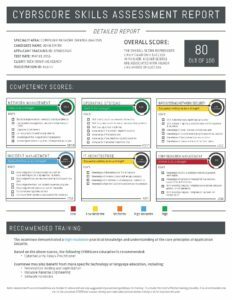 A valuable tool for companies, recruiters and professionals alike, the CYBRScore Skills Assessment is mapped to the NIST-NICE framework and uses practical, hands-on scenarios to evaluate one’s mastery of knowledge, skills and abilities. Analytics and Reporting Tool: Detail reports provide fine-grain results on candidate achievement. Analytics can also be communicated out to external systems using a WebAPI interface. CYBRScore Skills Assessments are designed to take 30 minutes to 4 hours, depending on the scope of the evaluation.